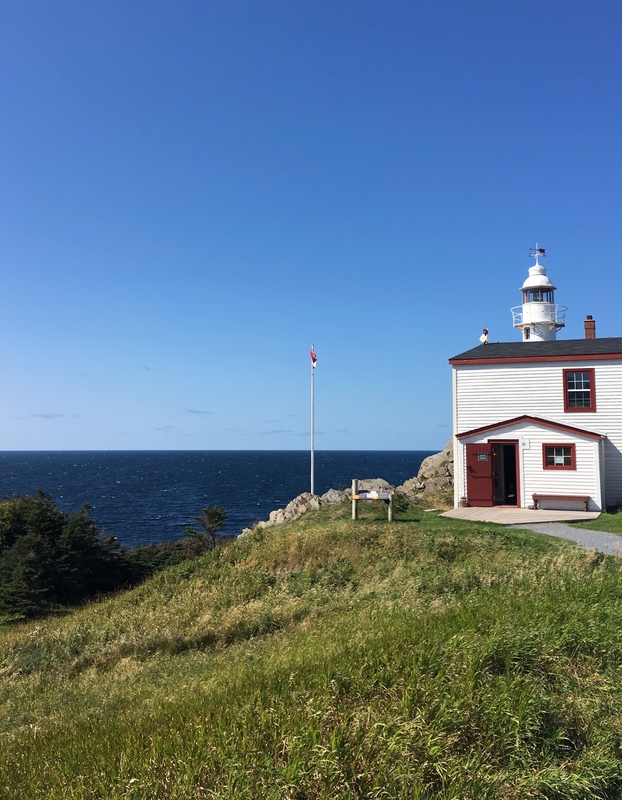 Would you like to wake up beside the ocean, hike a mountain, and encounter a moose all in the same day? If so, Newfoundland is the place for you! 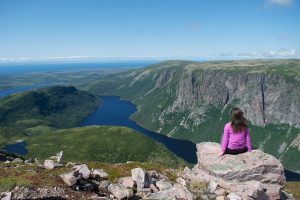 This past summer, I had the opportunity to participate in the Biology Field Camp in Gros Morne National Park and it was truly an experience like no other. I was joined by eight other students from Nipissing University and two students from Memorial University. 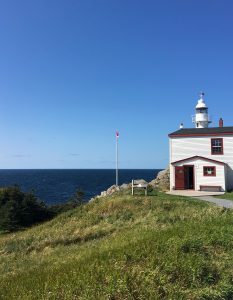 I got to spend two weeks exploring a unique province, contributing to a Parks Canada project, learning valuable skills in my field, and earning three credits towards my degree. A typical day at Biology Field Camp started with breakfast in the kitchen while watching for ships to enter Bonne Bay. After we had packed our bags and loaded everything into the vans, we’d head out to our experiment site, which varied day to day. 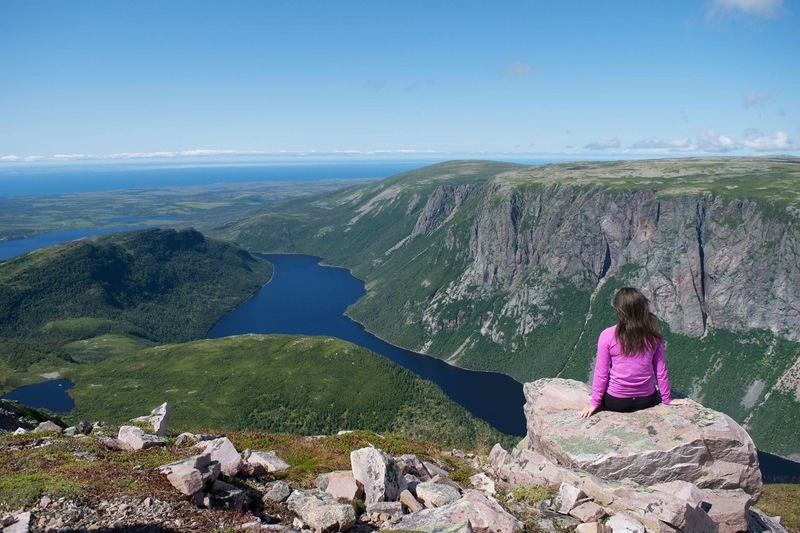 Sometimes we were in the thick of the Bakers Brook Trail, while other days we were on a hillside facing Gros Morne Mountain. 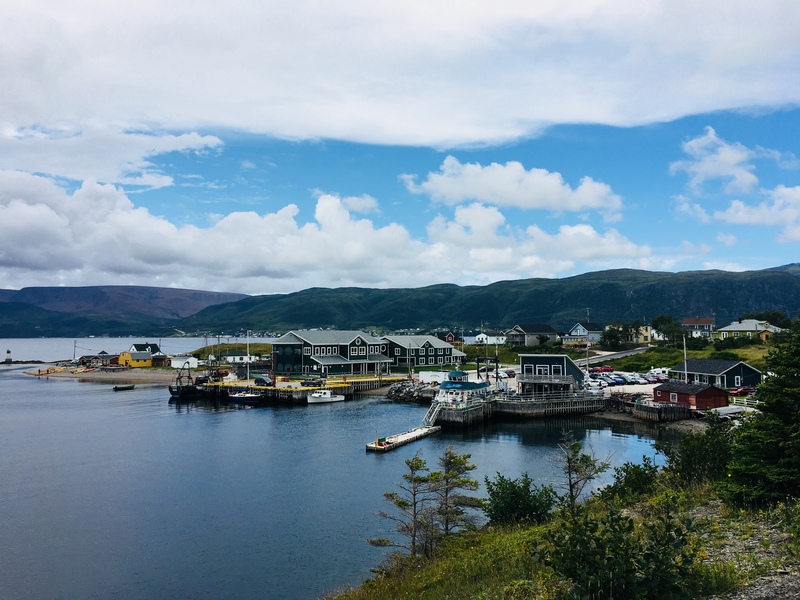 After several hours of observing and taking recordings, we’d head back to the Bonne Bay Marine Station, our home for the two week trip. Most days, we’d head over to the Cat Stop, a local restaurant on the water with a gorgeous view, for a debrief of the day’s findings. Each night, a different group of students got to showcase their culinary skills as they prepared dinner, putting their own unique twist on a classic dish. After dinner, there was plenty of time for socializing, studying, or heading out to the beach for a bonfire under the stars. At the end of each long day, sleep came almost as soon as my head hit the pillow. During the two week stay, we had many opportunities to be tourists as well. 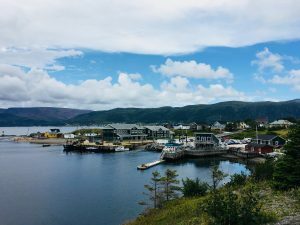 Activities included travelling to Rocky Harbour and Woody Point to shop for souvenirs, looking for sea glass at the Lobster Cove Lighthouse, exploring the Tablelands, and best of all, hiking Gros Morne Mountain. There was never a shortage of unique species to study or beautiful views to take in. The best part of experiential learning is the wealth of knowledge you can acquire without being confined to the classroom. And if you’re not a biology major, don’t worry; Nipissing offers many other experiential learning possibilities and opportunities to study abroad. You can participate in an international exchange program with one of Nipissing’s partnership institutions, volunteer for an international organization, or partake in individual opportunities through your program of interest. It may take some planning, but the experience you gain will be well worth your time and effort.